Hello adventurers! Welcome to the Open Forum, which is hosted by Kotaku's reader-run blog, TAY. This is a place to talk about life, video games, or anything else, so feel free to hop in and join in the topic discussion, or comment about anything. Then, when you're done, feel free to peruse the articles on TAY and TAYClassic. Is this your first time on TAY or the Open Forum? Then check out this handy TAYTorial! Also, don't forget the new IRC Chatroom where you can find some sweet Materia! Want your TAY reviews to be as golden as chocobo feathers? Get the TAY review materials here. Finally, if you're looking for someone to be in your party, head toward the DirecTAYry. Good morning TAY! Glad you made it! I'm having a tough time thinkin of a topic so let's just make this about me. See that handsome devil up there? Its a me! 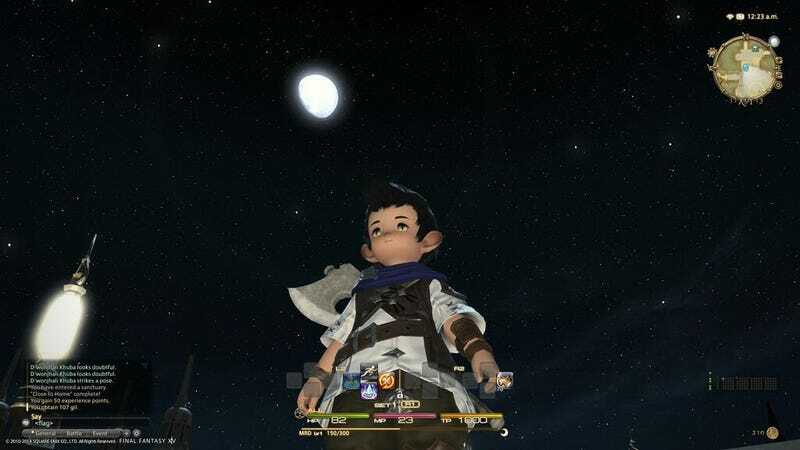 Well, my avatar in the FFXIV beta. Ain't he da cutest? I actually enjoyed playing that game during the trial run. Never played an MMO before so it was a nice sip of a much larger drink. Do you guys have any deep connections to the avatars you create? Do you make them exactly like you or rather create them in the image you wish to be? Post your best avaTAYr in the comments!